It was bad enough that Sierra Leone recently saw its first new Ebola case in months, but the reticence of locals is threatening to impede efforts to keep the virus from spreading further through the country. Last week, Mariatu Jalloh was confirmed to have died from the Ebola virus. Unfortunately, efforts to track down individuals who may have been exposed have been of limited success. So far, 50 possible contacts have gone missing and the community has been uncooperative with health officials’ attempts to track them down. This deep-seated suspicion is believed to be one of the factors behind the initial spread of Ebola when the outbreak first started roughly two years ago. One of the contacts—Jalloh’s stepfather—is even believed to have fled by boat to Freetown, the capitol. A second case of Ebola was found within Sierra Leone on Wednesday, further raising fears and tensions. During the initial outbreak, army officials from Britain set up a series of command centers and a National Emergency Response Centre (NERC) to help treat cases. This time around, NERC has shut down and most of the international medical workers have moved on to other countries or returned home. This is far from the first time that local suspicions have frustrated the efforts of the World Health Organization and other groups trying to contain and combat the Ebola virus. There are numerous causes for this resistance but some of the reasons are rooted in cultural practices. Western African culture places emphasis on remaining close to ill family members to help care for them. Furthermore, funerals involve touching the corpse—an easy way to spread Ebola. Contributing to the problem is a belief among some that Western doctors are responsible for spreading the disease or that their treatments are ineffective. Although the prevalence of these beliefs has diminished over the course of the outbreak, suspicion still lingers and will be making a return in the face of these new cases. 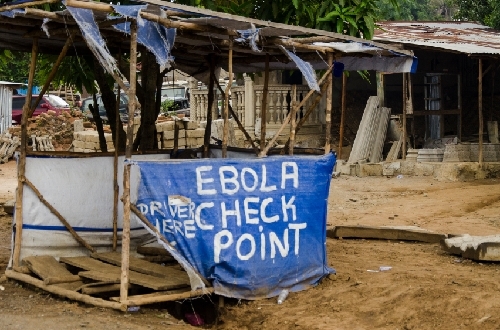 Currently over 109 people in Sierra Leone are undergoing quarantine as part of the country’s heightened surveillance. One of the larger fears is that Ebola may make its way once again to Freetown, which saw a rapid spread of the virus in late 2014. Back then, the capitol’s main graveyard was filled over its limits and local ambulances and hospitals struggled under the sheer numbers of the sick. Fofana, U., “Fear, Doubts Obstruct Efforts to Contain Ebola in Sierra Leone,” Reuters web site, January 20, 2016; http://www.reuters.com/article/us-health-ebola-idUSKCN0UY2SO. Nossiter, A., “Fear of Ebola Breeds a Terror of Physicians,” The New York Times, July 27, 2014; http://www.nytimes.com/2014/07/28/world/africa/ebola-epidemic-west-africa-guinea.html?_r=0. “Factors That Contributed to Undetected Spread of the Ebola Virus and Impeded Rapid Containment,” World Health Organization web site; http://www.who.int/csr/disease/ebola/one-year-report/factors/en/, last accessed January 21, 2016.